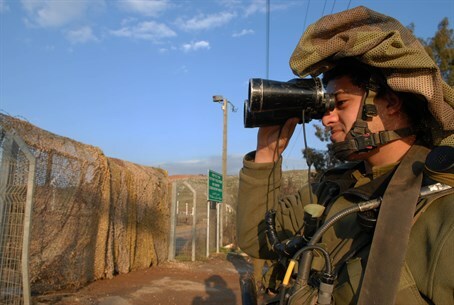 Lebanese media outlet claims UNIFIL found the Israeli 'spy device' on the Israel-Lebanon border. The IDF remains mum. Lebanese news outlet The Daily Star reports Tuesday that UNIFIL forces on the Israeli-Lebanon border found an Israeli "spy device" - and that the IDF dismantled it after a "tense standoff" between the two countries. The Lebanese Army claims that on Sunday, an Indonesian UNIFIL official found a mysterious object under an olive tree in Adaisseh, on the Lebanese side of the border fence. Lebanese military forces immediately rushed to the scene and readied themselves for combat; in response, Israel sent 15 soldiers, 3 armored vehicles and a mobile surveillance center to the site, according to the report. The report claims that Israel threatened to use force if Lebanon or UNIFIL approached the device; Spanish and Indonesian UNIFIL workers spoke to both sides and attempted to defuse the situation. Tensions rose further when the exact location of the device became a subject of dispute, with Lebanese officials insisting the area was "disputed" and Israel maintaining that the area was inside the Israeli side of the border. The IDF allegedly dismantled the device Monday - in a maneuver which had to be monitored by UNIFIL forces to keep both sides from firing, according to the report. UNIFIL spokesman Andrea Tenenti claimed that following the dismantling, "calm" had been restored. “UNIFIL came to an agreement with the Lebanese and the Israeli parties to demarcate the area where the suspicious device was found and determine whether it was inside Lebanese territory or not,” he said. Arutz Sheva reached out to the IDF Spokesperson's unit for comment on the event, which has not been reported in Israeli or global media - but has been making the rounds in Lebanese media, particularly those sources backed by Hezbollah, since Sunday night. The IDF stated simply that it would "not relate to reports by foreign media sources" - and would not confirm nor deny the report. Tensions have risen considerably between Israel and Lebanon over the past several months. In December, a Lebanese army soldier shot and killed 31 year-old IDF Master Sergeant Shlomi Cohen. The attacker eventually turned himself in to Lebanese authorities, and will be placed on trial there over the incident, according to Defense Minister Moshe Ya'alon. Just a few weeks later, rockets were fired from Lebanon into Israel - eliciting an immediate, strong response from IDF forces. "We will not tolerate firing at us from Lebanon, or to allow a threat of any kind on the lives of Israeli citizens," Ya'alon warned. "We see the government of Lebanon and the Lebanese army as responsible for the rocket fire shooting this morning and what happens in their territory, and what happened this morning will not be overlooked." "The IDF responded by firing, a short while ago, massive shells into the launching area," Ya'alon continued. "If necessary we will act more forcefully. I would not recommend anyone to test our patience and our determination to protect the security of Israeli citizens." Prime Minister Binyamin Netanyahu also issued a warning to Lebanon after the rocket fire. "What is happening in Lebanon is that Hezbollah is stationing thousands of missiles and rockets in apartments, in the heart of the civilian population, and is thus perpetrating two war crimes simultaneously," he said then. "It is organizing the firing at civilians, just as it did today, and it is hiding behind civilians as human shields." Tensions rose so high during the incident that UNIFIL asked both sides to keep calm; Israel later complained to the UN over the rocket fire.